Tantalizing Trademarks™: Is Lindsay Lohan Bringing Her Beach and Night Clubs to the United States? Recent Trademark Applications May Provide Hints. Is Lindsay Lohan Bringing Her Beach and Night Clubs to the United States? Recent Trademark Applications May Provide Hints. Lindsay Lohan's new show on MTV, Lindsay Lohan's Beach Club, just aired its first episode last week. The show follows the dramatic staff of her Lohan Beach House beach club in Mykonos, Greece, which Lohan opened in May 2018. Back in October 2016, Lohan opened the "Lohan Nightclub" in Athens, Greece. Does the actress now have plans to open a nightclub or beach club in the United States? Well, she recently filed a dozen federal trademark applications in the United States, several of which are for the logos of her beach/nightclubs and all of cover dance and nightclub services, along with a variety of other goods/services. Various cosmetic items, including body lotions, make-up, body scrubs, shower gels, shampoo, and perfumery (Class 3). Lohan filed each version of the logo in each class and the words LINDSAY LOHAN in each class (hence the 12 total applications). The applications also included Lindsay Lohan's written consent to register her name as a trademark for these goods and services, which is required under Section 2(c) of the Trademark Act. Does this mean Lohan is opening a night club or dance club in the United States? We can't tell from the applications alone, but we can make some inferences. First, these applications were filed on an intent-to-use basis, which requires that the applicant have a "bona fide" intention of using these trademarks in conjunction with the listed goods/services in the near future. See TMEP 806.01(b). If Lohan had no intention of using these marks with some or all of the goods/services listed, any subsequent registration covering those goods/services is void with respect to those goods/services. 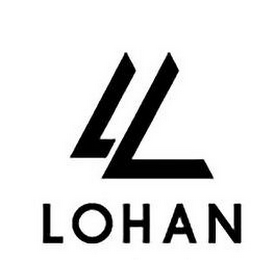 Second, Lohan must eventually start using these trademarks in conjunction with the listed goods/services before they can be registered and submit sufficient proof of such use to the USPTO. See TMEP 1103. In other words, if she wants a trademark registration that covers bar services, dance club services, or nightclubs, she must start operating a bar, dance club, or nightclub. Otherwise, she'll need to delete those goods/services from the application or let the application lapse. Third, trademark rights are territorial, so Lohan can't rely on use of these trademarks with these goods/services in Greece to prove use in the United States (at least not under the current filing basis of the applications). And why file trademark applications for these goods/services in the United States unless you intend to provide them here? While they might offer her protection in the United States, they won't do much for her in Greece (she likely has similar trademark registrations in Greece). In sum, while Lohan fans wanting a club in the United States shouldn't get overly excited, it does appear something is in the works. Pay attention to these trademark applications to find out.